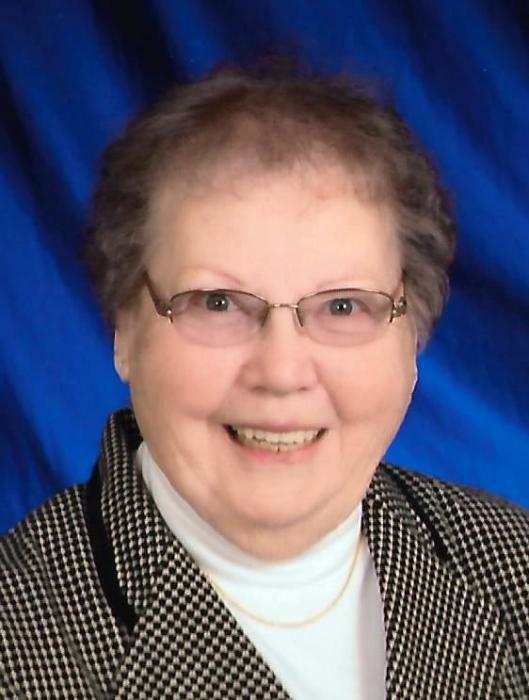 CONTINENTAL - Mary Lou Harter, 87 of Continental passed away at 4:22 a.m., on Saturday, March 30, 2019 at Mercy Health St. Rita's Medical Center, Lima. She was born on October 2, 1931 in Cloverdale to the late Bernard A. and Mary (Korte) Blankemeier. On June 1, 1957, she married Donald L. Harter. He passed away December 31, 2017. Survivors include two sons: Ron (Susan) Harter and Ken Harter both of Continental; four grandchildren: Melissa (Rob) Winkle, Michelle (Kyle) Martin, Ben (Brandy) Harter and Matt Harter; seven great-grandchildren: Brynleigh and Adelyn Martin, Addison and Aubrey Winkle, Elijah, B.J. and Kaiden Harter; a sister, Rose Marie Burke of Continental; and many nieces and nephews. She was also preceded in death by two great-grandchildren: Cayden and Connor Winkle; two brothers: Art and Bernard Blankemeier; and a sister, Emma Jean Sigler. Mary Lou retired from Continental School. She was a member of St. John the Baptist Catholic Church, Continental and the Continental American Legion Auxiliary. Mary Lou loved her family and enjoyed attending her grandchildren's and great-grandchildren's sporting events. A funeral mass will begin at 10:30 a.m., Wednesday, April 3, 2019 at St. John the Baptist Catholic Church, Continental with Fr. Mark Hoying officiating. Burial will follow in Monroe Cemetery, Continental. Visitation will be from 2-8 p.m., Tuesday at HEITMEYER FUNERAL HOME, Continental and one hour prior to the funeral Wednesday at the church.